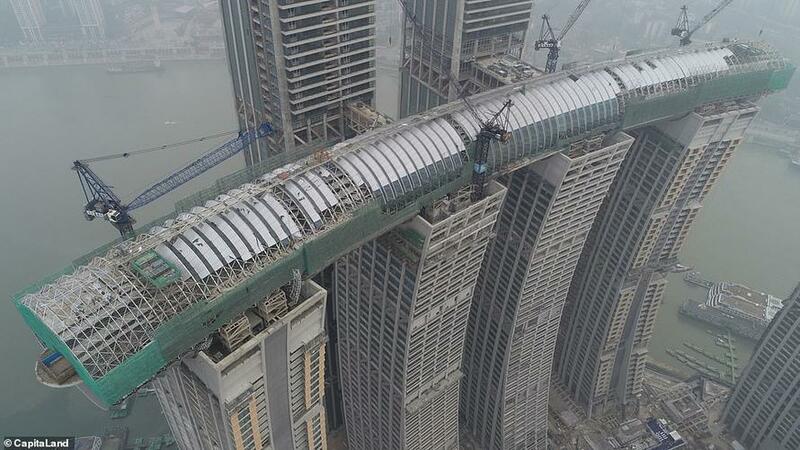 A megastructure featuring the world's tallest sky bridge has been erected in the southwestern Chinese city of Chongqing. 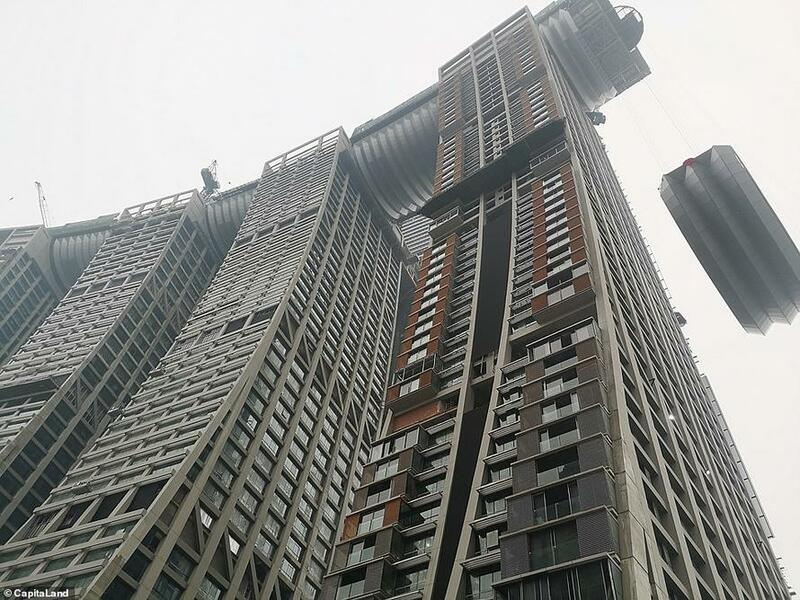 Designed by the world's most renowned and prolific architects, Moshe Safdie, Raffles City Chongqing complex measures 1.12-million-square-meters and consists of eight towers and a large connecting sky bridge, which is called a "horizontal skyscraper." The 250-meter-long sky bridge - which is basically a horizontal "skyscraper" resting on the to of several traditional skyscrapers - dubbed Crystal, if made vertical, would be the height of the Eiffel Tower. The sky bridge is composed of 3,000 glass panels and 5,000 aluminum panels. 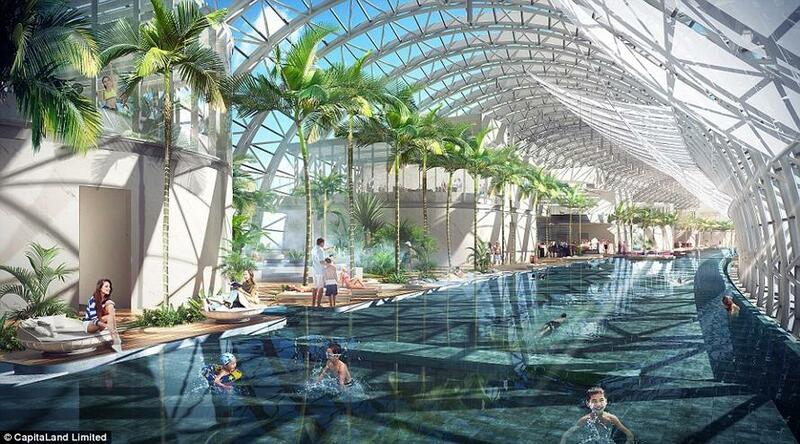 When open, it will have an observatory wing, sky gardens, an infinity pool, and shopping district. 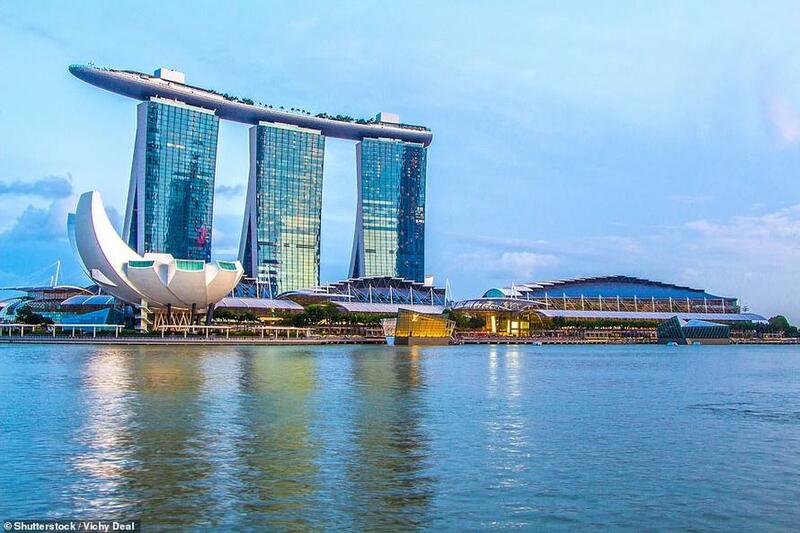 At night, the sky bridge transforms into a large light beam, illuminating the sky into a heavenly light show. 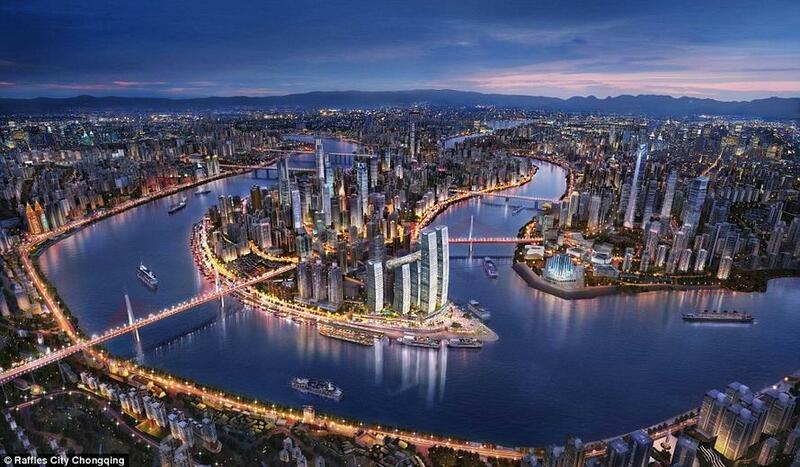 The Raffles City Chongqing complex will feature a 230,000-square-meter shopping mall, 1,400 residential apartments, an upscale hotel, and 160,000 square meters of office space. Developer CapitaLand, one of China's biggest real estate development firms, announced the ribbon-cutting ceremony is expected to take place in the second half of 2019. 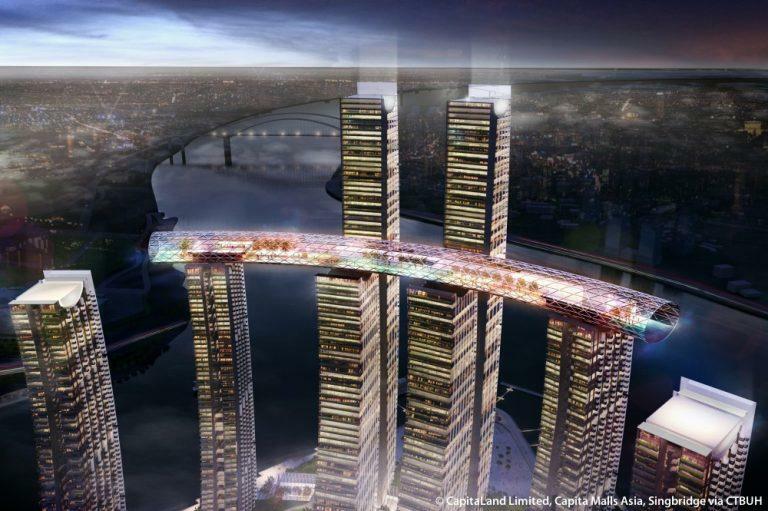 According to Lucas Loh, deputy CEO and CIO of CapitaLand China, exotic perennial plants are being imported from around the country to "enliven the sky bridge," which will feature one of the tallest observation decks in Western China. 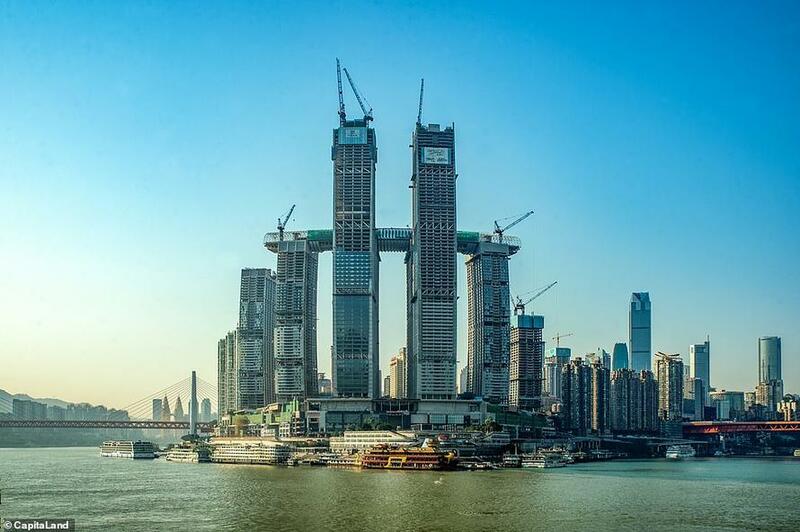 Check out the video below by CapitaLand China that shows the evolution of the build.